Supported by donations from such institutions as The Pew Charitable Trusts, the William Penn Foundation, the Andrew W. Mellon Foundation, and many others, PACSCL aims to help make the greater Philadelphia area into “one of the nation’s preeminent centers for research and study” through its support and promotion of area archival repositories and special collection libraries. 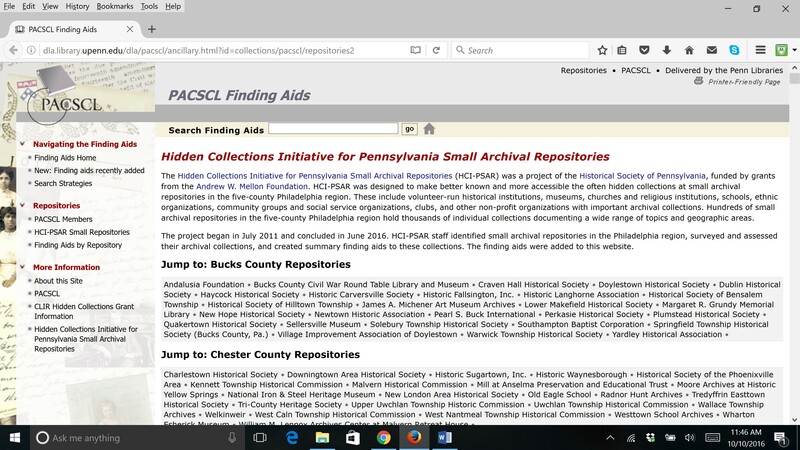 Toward this end, Historical Society of Pennsylvania, a PACSCL member, launched the Hidden Collections Initiative for Pennsylvania Small Archival Repositories (HCI-PSAR). Funded by grants from the Andrew W. Mellon Foundation, the purpose of the HCI-PSAR was to identify, survey, and help promote small archival repositories located in the Philadelphia region. Between July 2011 and June 2016, HCI-PSAR staff visited 170 repositories that included volunteer-run historical societies, museums, churches, schools, community organizations, and other institutions with important archival material. 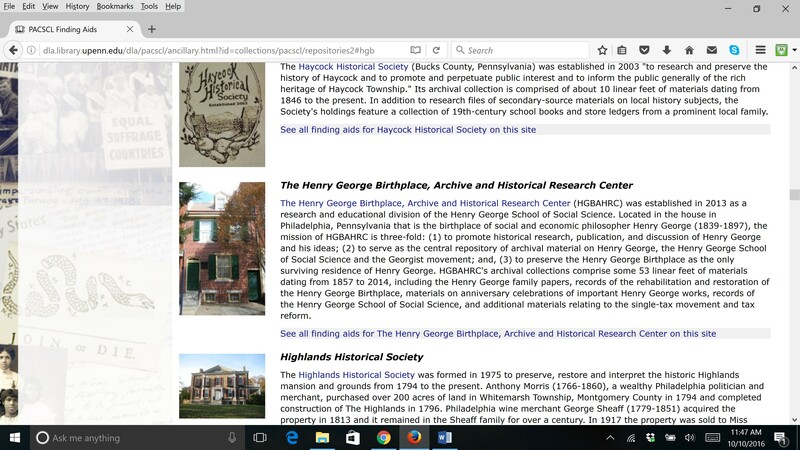 HCI-PSAR staff surveyed the Henry George Birthplace on September 9, 2015. In August 2016, four of the Birthplace collections were added to the PACSCL database. Other collections will be added in the near future.